In walking distance from the city center you will find the Breitner House which is located in one of the most beautiful areas of Amsterdam where nature, science, history and culture converge. The Breitner House has a view on the beautiful Oosterpark. In this cultural oasis you will find a surprising number of interesting sites per square meter. The Hermitage, The Tropical Museum, the Rembrandt House, the Hortus Botanicus and the nineteenth century Artis Zoo. Jewish history is abundant in many places in The Plantage, with the Portuguese Synagogue, the Jewish Historical Museum and the Moses Aaron Church. This city center’s back garden is also known for its wide variety of shops, famous theatres, trendy waterside cafes and top restaurants. 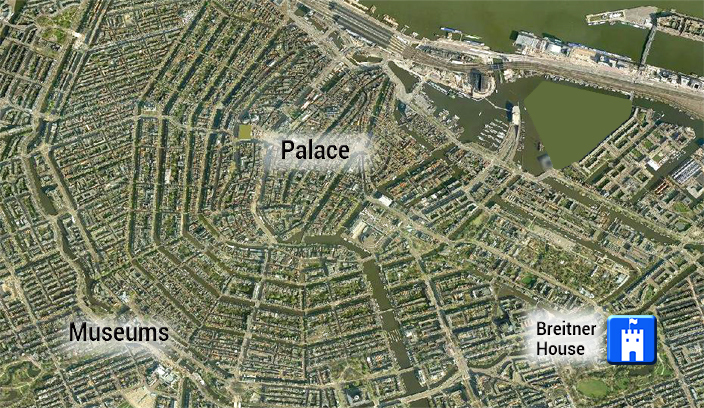 Breitner House is ideally situated in this cultural garden of Amsterdam.